Many patients require the need for additional care after a hospital stay. 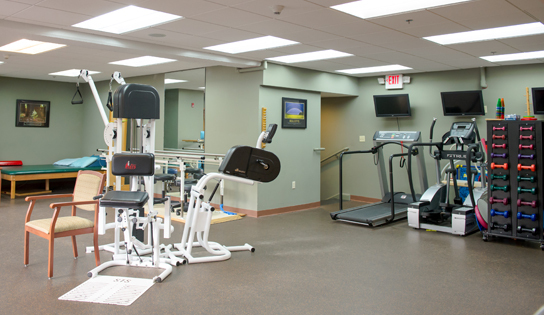 Whether it involves post operative care following orthopedic surgery to continuation of care from another medical diagnosis, Cortlandt Healthcare is the only choice for true Post Acute Rehabilitation. Cortlandt Healthcare has built a strong reputation for its Rehabilitation program True2Life, successfully returning hundreds of patients back home each year. Our creative program not only focuses on the acute episode treated in the hospital, but also on the patient as a whole. Our Nursing department, who enjoys the highest staffing in the area, has the time and expertise to assist with the many issues a patient may have based upon their diagnosis. They treat not only the main issue, but all of the related issues that arise from an illness or surgery.